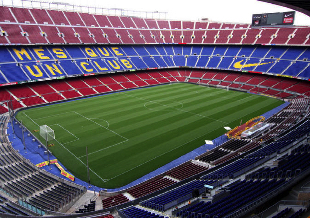 The visit of the Camp Nou undoubtedly pleases football fans around the world. It gives unlimited access to the “behind the scenes” as you can observe where the Catalan magic is done. The visit of the museum gives you a summary, will distract and will affect many football fans, all ages included. It is the most famous tour of Barcelona and the stadium is always filled with fans visiting the Barcelonese football temple. It is true that Camp Nou is more than a stadium, as FC Barcelona is “més que un club”. Participating in the visit of the FC Barcelona stadium is like experiencing the club, from the back of the stage. Tickets for the Camp Nou visit of FC Barcelona give you access to the club’s “behind the scenes”, the FC Barcelona museum and the multimedia center. The tour is “self-guided”, which means there is no guide. There are clear, visible instructions, which will allow you to make sure that you make the visit the right way. At the beginning of the visit, you will experience a 3D show. The goal of this video is to give an idea of ​​the playing field during the match: you will see in 3D, images of famous games. Next, a visit at the changing rooms of the visiting team. Once you visited the visitor’s changing room, you will access The Chapel, which was inaugurated in 1958 and blessed by John Paul II in 1982. The Chapel gives the opportunity to pray minutes before the game. Afterwards, you will enter the tunnel of the players leading to the field. This is a one-time opportunity to feel like a player joining the field for a major game with 100,000 cheering fans. Unfortunately, the stadium will be empty, but with a little imagination you will see all the fans. Once you get out of the tunnel, you will access the side-benches. This is the closest you will probably ever go. It is impressive to be standing in front of this field, knowing the players see it all filled up. Leaving the field, you’ll enter the press room of FC Barcelona as well as the press area where the team comments after the game. The tour will also give you access to the Presidential Tribune, which has the best view, and the Press Tribune where the commentators provide us the exciting feeling during the game. The museum is divided into 3 parts. First, the museum of the history of FC Barcelona. It is the largest part of the museum where you’ll take a journey into the history of the club since its inception in 1899. The windows exhibit the best results and trophies of the club, including the most important cup of the Champions League. 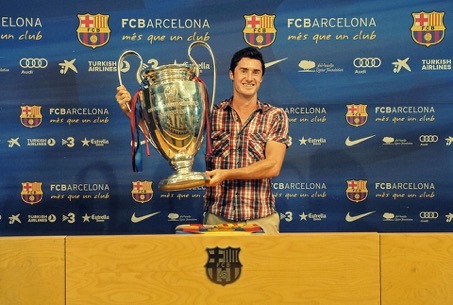 There is also the possibility to lift the cup and take a picture, which you can buy for 13€ at the exit. The second part is the collection: “Futbol art” of the museum of FC Barcelona. It houses memories related to sport and football. 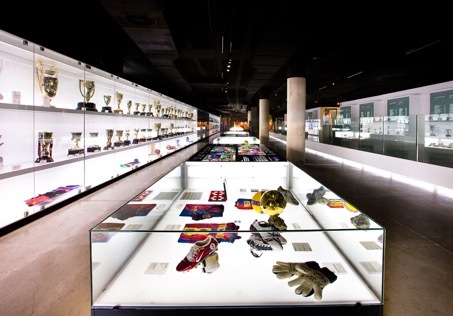 The third part of the museum of FC Barcelona is dedicated to temporary exhibitions. This part of the museum changes all the time. 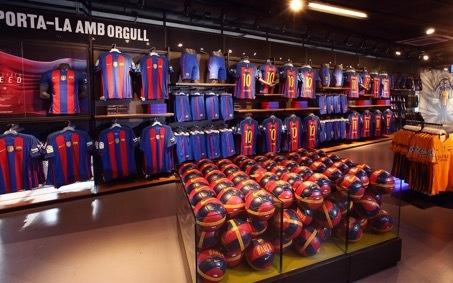 Once you’re done visiting, you can enter the fan shop where you can buy jerseys, balls, shoes and FC Barcelona gadgets. Reaching the Camp Nou stadium from the center of Barcelona is quite simple. Access the square “Mirador de Colom”, which is at the end of the Ramblas. Then take the underground line 3, take the stop: Les Corts. Once you get out, it’s a 5-minute walk to the stadium. The best way to buy your tickets will be online to avoid the queue. Book a room for your family and enjoy your stay!